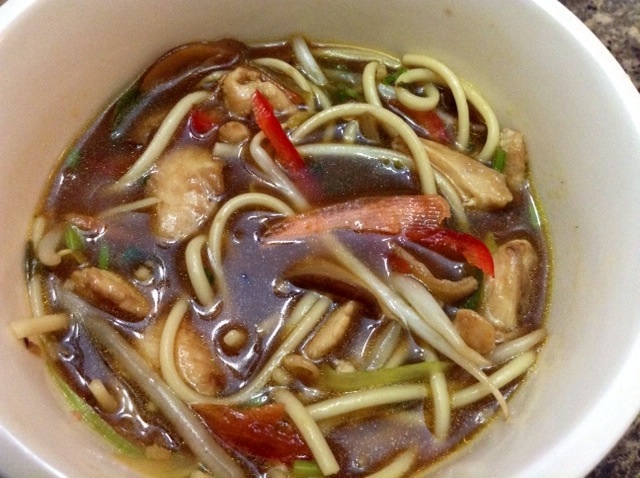 Layers of crunchy vegetables and sprouts on a soft bed of noodles, topped with steaming broth…now that’s serious comfort food! 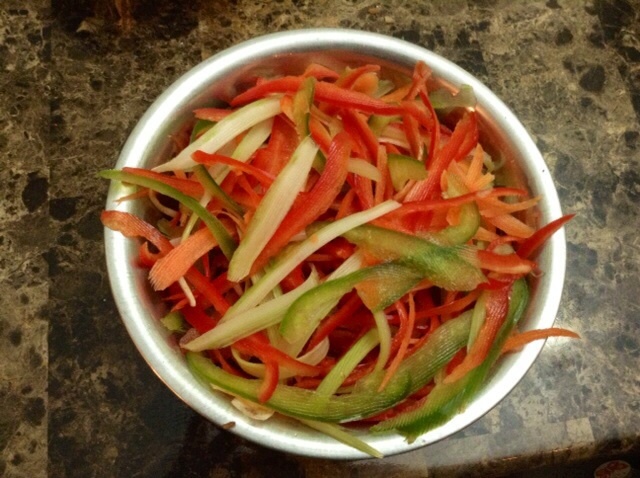 Thinly slice bell peppers, carrots, celery, Shitake mushrooms and ginger. 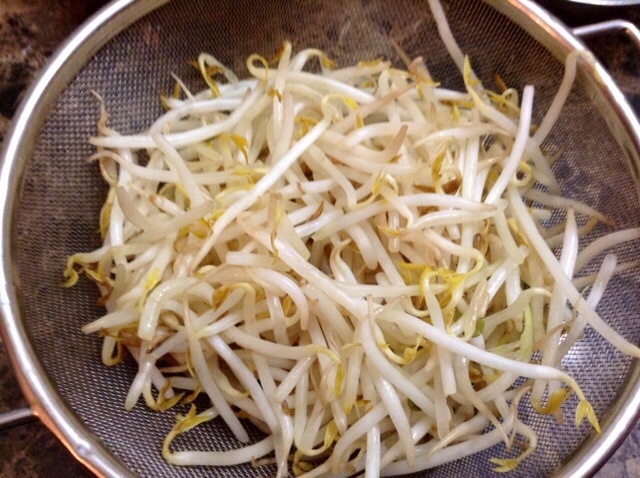 Wash and drain bean sprouts. Mince 2-3 cloves of garlic. 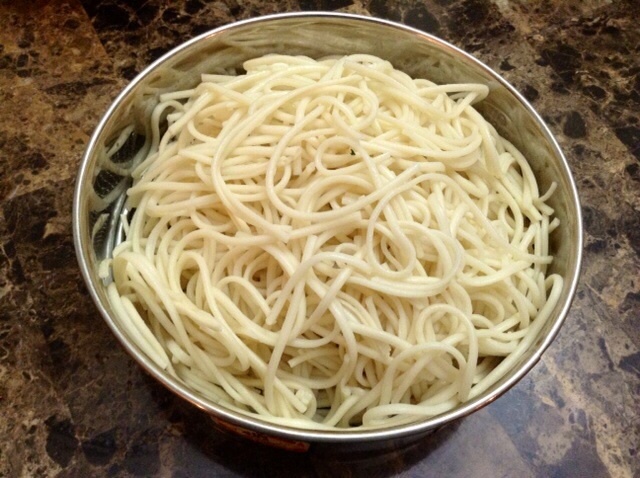 Boil noodles, rinse in cold water…keep aside. 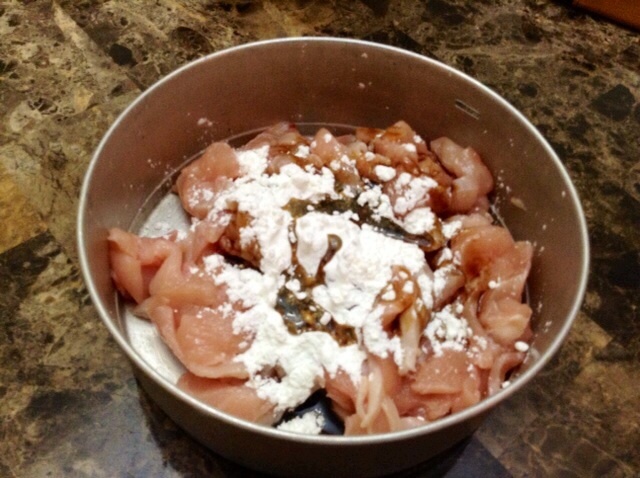 Slice chicken into really thin strips and mix in a couple of tsp of cornstarch and some teriyaki marinade. 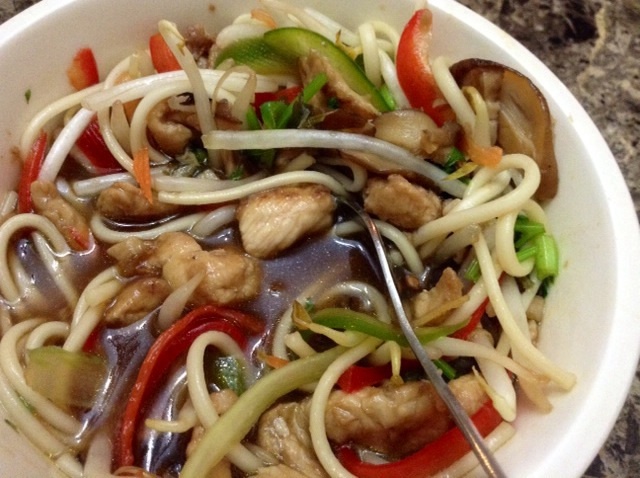 Stir fry for 2 minutes in a scorching hot wok…keep aside. 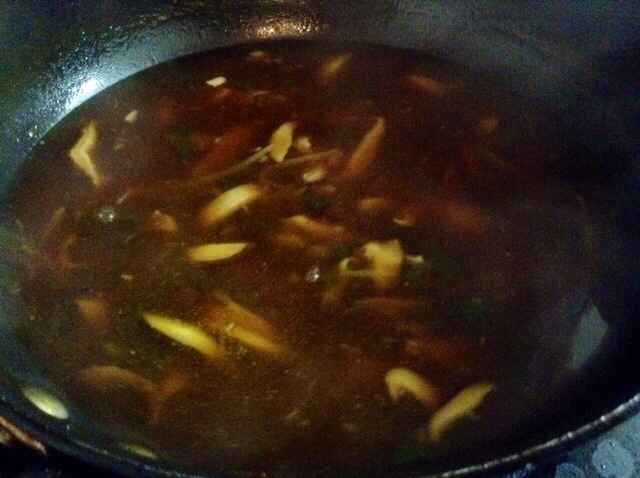 Now heat oil in the same pan, add minced garlic, followed by the ginger and the Shitake mushrooms and stir fry for 2-3 minutes. 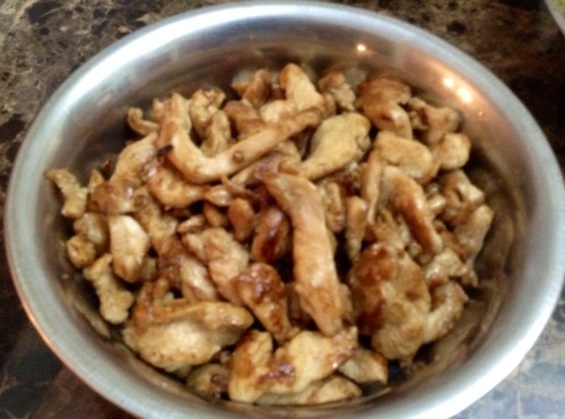 Add chicken broth, dark soy sauce/teriyaki sauce, vinegar, chili oil, fish sauce (optional) Cook to reduce broth to intensify flavor…..top with some scallions. 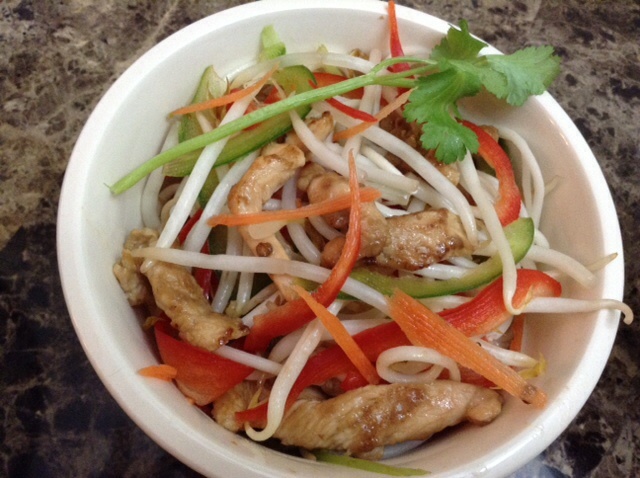 Layer noodles (you can use soba noodles for the healthier option), vegetables, bean sprouts and chicken in a noodle bowl…top with steaming broth….serve!! 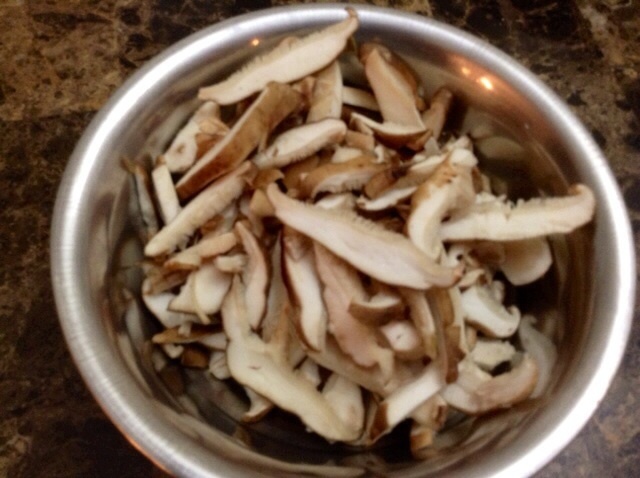 PS: I used Fresh Shitake mushrooms instead of hydrating dry one to make the the dashi stock….and substituted fish sauce for Bonito flakes (Japanese dry fish flakes). 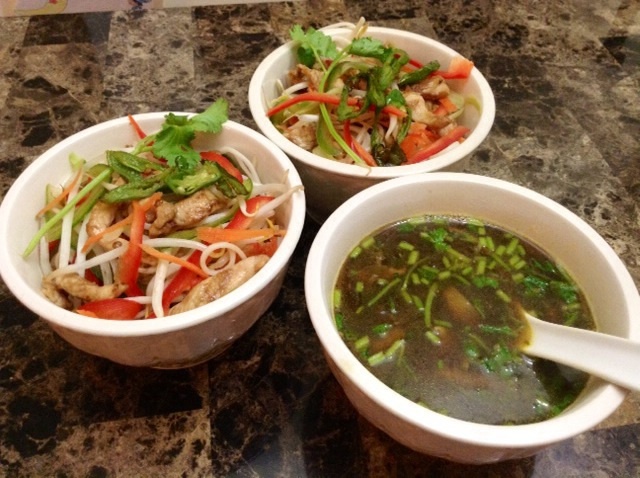 Also for my vegetarian friends….the above can easily be made vegetarian by substituting chicken with tofu, omitting fish sauce and using veg broth!